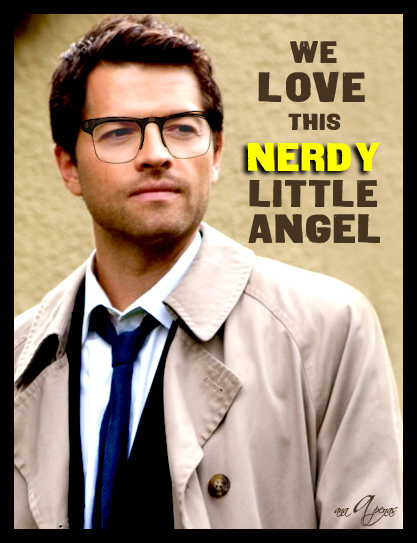 Nerd Angel- Gotta Amore Him. . Wallpaper and background images in the Castiel club tagged: castiel misha collins supernatural. This Castiel photo might contain completo and vestito di affari.